This companion novel to Blue Thread and Seven Stitches takes us to Berkeley, California, in December, 1964, at the time of the free speech protests and to Paris, France, in December, 1099, at the end of the First Crusade. Miriam Hope Friis is a shy, talented, and stuttering young woman, smothered by her domineering older sister. The gift she accepts from her ailing grandfather embroils her in a quest to prevent a distraught father from killing his newborn son. Hope must find her voice —and navigate draconian choices —within the eight days of Hanukkah. Of course, this book is also available at Amazon and Barnes & Noble. "This is a lovely coming of age novel that takes place during two Hanukkah celebrations almost a thousand years apart. One thread takes place in Berkeley in 1964, during the Free Speech Movement. The other takes place in the Jewish quarter of Paris in the Middle Ages. Hope, is a shy teenager with a stutter who goes to Berkeley High, and is slowly recovering after her older sister gave her LSD, leaving her with both external and internal scars. She meets a Jewish woman from the past who leads her on a journey through time where she learns she has a heroic role to play, to save a child doomed as a result of a terrible vow. The story is riveting; the two periods intertwine seamlessly and, speaking as someone who was arrested in the Free Speech Movement, the Berkeley sections feel true and authentic. In this gripping tale, Hope must conquer her fears and make difficult decisions in both worlds." 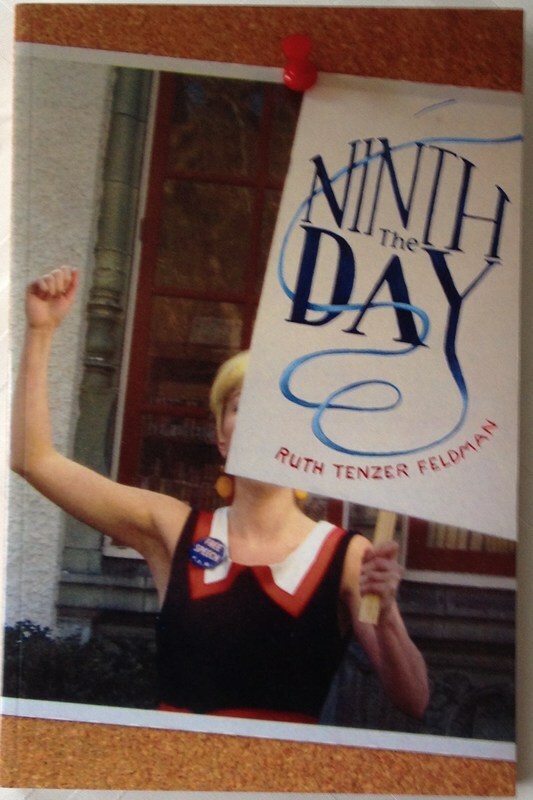 “Thank you, Ruth Tenzer Feldman for gracefully transporting me to both 1964 and 1099, for an equal part brave and tender heroine who rises up to meet unthinkable challenges and finds out she’s made of strong and beautiful stuff. Reading this book felt like looking at a night sky full of stars and having a wise someone connect the bright spots for me, revealing constellations rich with story, myth, and magic. Once I entered this world, I found it hard to leave. I had to find out what happened next. The Ninth Day took me a mere three days to devour."